Increased demand and diversity in materials handling operations is driving the development of solutions that go beyond trucks, according to Hyster Europe. To enhance the tough range of 2-3.5 tonne capacity Hyster® Fortens® ICE trucks, a wide variety of solutions and customisations tailored to specific application needs are now available for 2019 models. The range of additions for the Hyster® Fortens® series supports operations throughout the supply chain, helping business to experience 360-degree benefits. 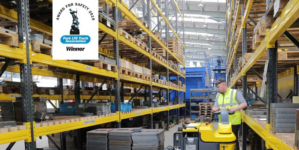 “For instance, to alert pedestrians of an approaching vehicle in busy warehouses with blind intersections or high noise environments, for example, Pedestrian Awareness Lights can be fitted to the front, rear, or both, of Hyster® Fortens® trucks,” explains Matthew. Hi-vis intelligent seatbelts can be included on the new H2-3.5FT trucks, which not only helps managers to check that operators are using the seatbelts, but also contributes to awareness of the forklift operators among pedestrians. To increase visibility in low ambient light environments, the Hyster® H2.0-3.5FT trucks are now supplied as standard with LED lights, which are resistant to the damaging effects of harsh weather conditions as well as to shock and vibration. A panoramic mirror is another available option, complementing the intelligent truck and mast design which optimises forwards and rear visibility. 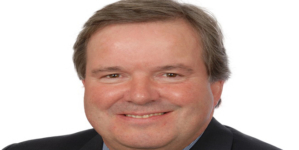 “For multi-shift operations with a large number of drivers, and operations that require drivers to frequently mount and dismount their forklifts, it is important to keep track of who is using which vehicle,” says Matthew. An operator password function is now included as standard on the H2.0-3.5FT range which can help restrict truck use to only trained and designated operators. This prevents unauthorised operation across the site and tracks who is operating which truck for increased accountability. This can be further supported with the addition of the Hyster Tracker telematics system, which can not only support operator access control but also be utilised to offer the benefits of better truck utilisation and cost monitoring. 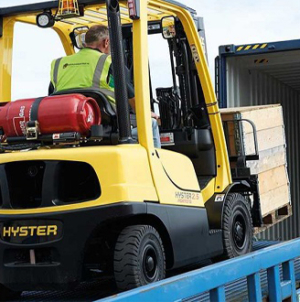 Designed for indoor and outdoor use, tough Hyster® H2.0-3.5FT LPG-powered forklift trucks are ideal for handling operations required to move goods between exterior areas and indoor warehouses and manufacturing areas. To enhance these “in/out” operations where variable speed limits often apply, a roof detection system from Hyster detects when the truck is under a ceiling, limiting the truck’s movement to a pre-determined travel speed. This helps to protect infrastructure, such as indoor flooring, from damage, while adhering to site speed limits. A standard speed limiter, that can be set up simply by a site supervisor, can also be included as standard with all newly ordered H2.0-3.5FT lift trucks.